A corporate intranet solution that you'll love. You've found the best corporate intranet software, with everything you need to keep connected. Our Corporate Intranet is simple to use and quick to set up. We are here to help you, no pressure involved! Build news, status updates, content, and share it! Create pages and menu items however you need. 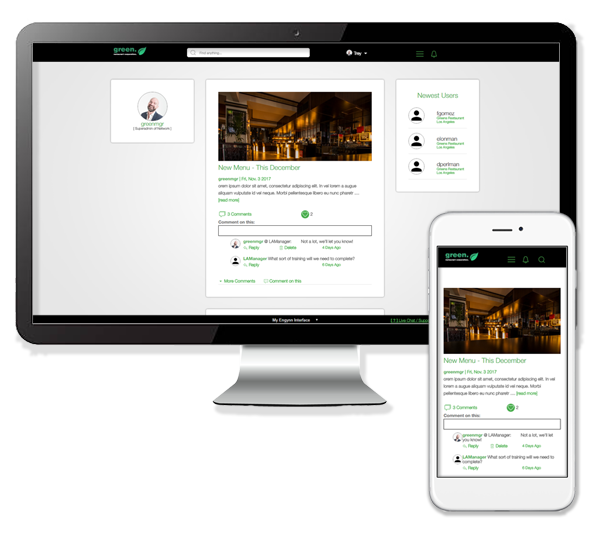 A full social network built into your corporate network.